common wedding dress codes so you can show up feeling confident in your outfit. Pro tip: When in doubt, it’s always better to be a bit overdressed. Dress code left you feeling lost? You’re not alone! to be a bit overdressed. sparkly necklace, or a metallic clutch. 1. Accessories: 2-3 statement pieces like embellished chandeliers, a sparkly necklace, or a metallic clutch. 2. Dress: Full-length formal dress in a luxe fabric like velvet and silk, or allover beading. Note: Hair should be polished (an updo or blowout). 1. Accessories: 2-3 statement pieces. Think pearl drop earrings, a metallic clutch, or shimmery bracelet. 2. 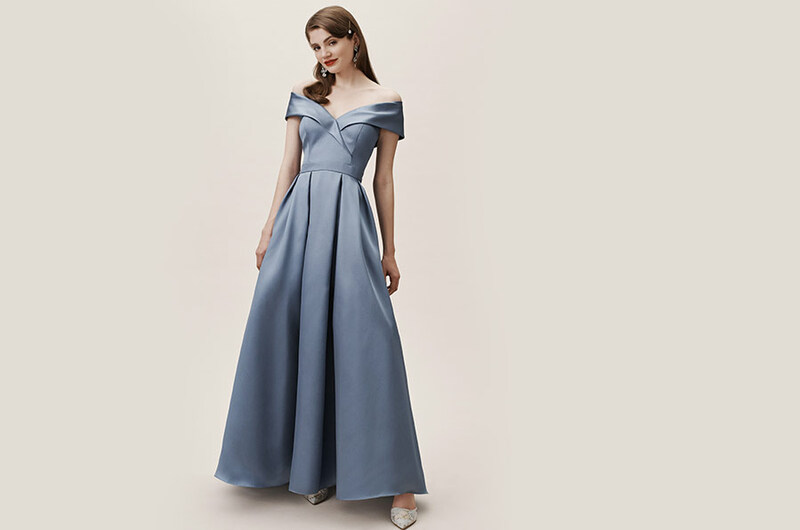 Dress: Full-length formal dress or a fancy cocktail dress. Note: For shorter hemlines,accessorize with contrasting shoes! 3. Shoes: Heels or embellished flats. Note: For shorter hemlines, accessorize with contrasting shoes! Note: Add soft, face-framing waves for an updo that doesn’t feel too formal. 1. Dress: Shorter dress or a jumpsuit. Feel free to play around with colors and silhouettes. 2. Accessories: 1-2 statement pieces. The more embellished the dress, the fewer the accessories. 1. Accessories: Fashion-forward but notflashy. Try hoop earrings, a bow, or a unique clutch. 2. Dress: Shorter dress that plays with interesting prints and textures. Note: Metallic accessories effortlessly elevate casual looks. 3. Shoes: Sandals or flats with extra flair. 1. Accessories: Fashion-forward but not flashy. Try hoop earrings, a bow, or a unique clutch. 2. Dress: Flowy silhouettes inbreezy cotton or chiffon—not tooshort in case of high winds. Brightcolors and florals welcome. and comfortable; don’t forget your sunnies! 3. Shoes: Wedges or embellished sandals. 1. Accessories: Rough-cut stones, textural earrings, or a simple pendant (no high-voltage sparkle here!). 2. Dress: Flowy silhouettes in breezy cotton or chiffon—not too short in case of high winds. Bright colors and florals welcome. Note: You should feel effortless and comfortable; don’t forget your sunnies! Note: Schedule a blowout to prep for photo-ops with family & friends! 1. Dress: Bridal white with a twist for your shower, rehearsal, or reception. Sequins, allover lace, and even feathers are fair game! 2. Accessories: As the guest of honor, it’s time to shine. Think a sparkly cuff bracelet or chandelier earrings. 3. Shoes: Heels or sandals in coordinating white. 3 Shoes: Heels or sandals in coordinating white. Note: Schedule a blowout to prep for photo-ops with family & friends!.